Praised for her “arresting vocalism” by the Spokesman Review, Entertainment News, NW says “you cannot help but fall in love with Courtney Ruckman…her voice quality was superb…her solos were magnificent.” In upcoming engagements, she joins the Nashville Opera Young Artist Program as Frasquita (Carmen) and creates the role of Jessie (Masquerade) in the world premiere of Paterson’s Three Way. She will reprise the role with American Opera Projects for its New York City premiere. In recent engagements, she presented recitals in the Caramoor Festival’s “Holiday Tea Musicales” series. Her program included the world premiere of Images de Noël by Alan Theisen. Additionally, she joined Opera Coeur d’Alene as First Lady (Die Zauberflöte) and covered Marzelline (Fidelio) as a Caramoor Bel Canto Young Artist. In concert, she returned to the Portland Chamber Orchestra as the soprano soloist in Handel’s Messiah. During the 2014-2015 season she was a member of the Central City Opera Studio Artists Program, performing selected scenes and a featured recital. 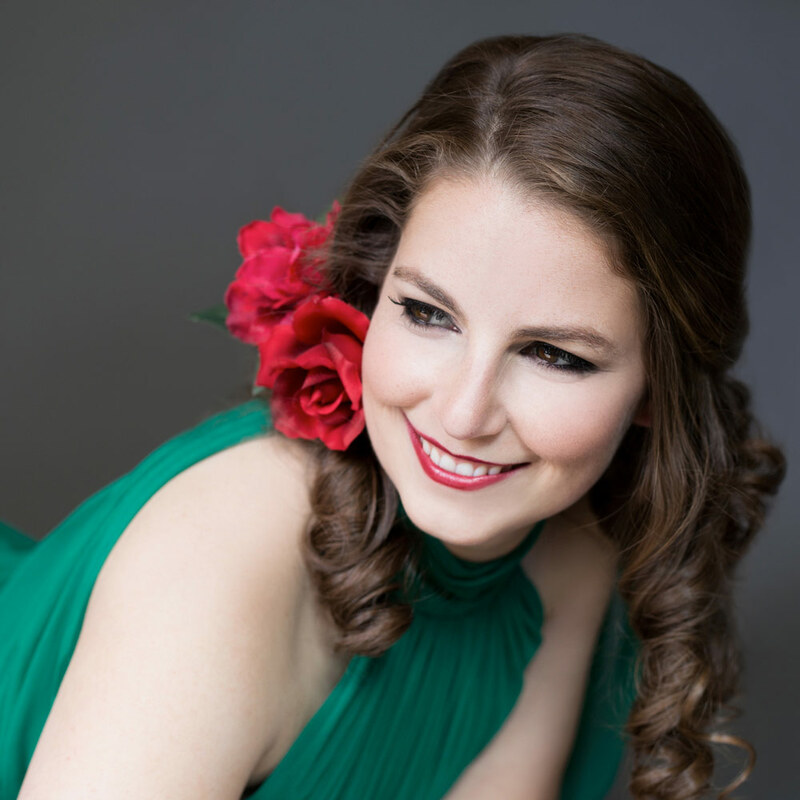 She made her role debut as Pamina (Die Zauberflöte) with Pacific Northwest Opera and debuted with the Portland Chamber Orchestra in performances of Judas Maccabaeus (Handel). Having an aptitude for new music, she covered the Youth in the world premiere of After Life (Cipullo) with Music of Remembrance. Highlights from previous seasons include role debuts as Gilda (Rigoletto) with Pacific Northwest Opera, Sophie (Werther) with Vashon Opera, Héro (Béatrice et Bénédict) with the Puget Sound Concert Opera, and Maria (The Sound of Music) with Opera Idaho. In concert, she performed Mozart’s Exsultate, Jubilate with the Skagit Symphony. A 2014 Northwest Region finalist of the Metropolitan National Council Auditions, Ms. Ruckman also received encouragement awards in the 2012 district competition and the 2016 Partners for the Arts, Inc. Vocal Competition.